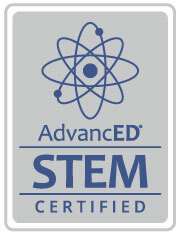 AdvancED congratulates St. Laurence High School on receiving AdvancED STEM (Science, Technology, Engineering and Mathematics) Certification. This achievement is a mark of STEM distinction and excellence only offered to highly effective institutions that prioritize STEM education as a path to success. In achieving the Certification, St. Laurence becomes the first school in Illinois to receive this recognition. AdvancED STEM Certification is the first internationally recognized mark of quality for STEM schools and programs, signaling the growing emphasis placed on STEM education by educators, politicians and business leaders around the world. In earning this certification, St. Laurence High School has demonstrated its commitment to preparing its students for their educational and career opportunities of the future by ensuring its students will have the skills and knowledge they need to be successful in their postsecondary pursuits and as workforce contributors in the 21st-century economy. In order to earn STEM Certification, St. Laurence had to demonstrate adherence to the AdvancED STEM Standard as reflected by the school’s performance across 11 rigorous STEM Indicators. The certification process provides a rigorous evaluation and continuous improvement process, supported by research-based tools and resources. Achieving high scores across the indicators certify that students have been equipped and trained to be innovative, creative and systematic problem-solvers across disciplines. AdvancED’s STEM Certification Reviewers examined St. Laurence’s evidence of quality STEM education that the school provided to the review team beforehand, and conducted classroom observations focused on identifying student engagement and collaboration in the learning process using the Effective Learning Environment Observation Tool™ (eleot™). Reviewers also interviewed key stakeholders such as school administrators, STEM faculty and staff, parents, students, and external partners in order to verify the school’s commitment to connecting students’ STEM experiences in the classroom to the local community and the world at large. After implementation of the StL STEM curriculum five years ago, data yields many positive signs for the students’ test scores. Average ACT scores have increased by an average of 2.4 points since 2013. Across all grades and academic programs, average national percentiles for standardized tests have witnessed an increase over the students’ years at St. Laurence. The Class of 2017, the first class to fully go through the STEM program in their entire four years, specifically has seen a 22% increase in national percentiles for standardized testing. Recently, St. Laurence High School announced that it will be going coed beginning in the 2017-18 school year. St. Laurence will be accepting female transfer students who will be sophomores, juniors and seniors during the 2017-18 school year. For more information on the coed transition, please visit stlaurence.com/coedtransition. For information for prospective students, visit stlaurence.com/prospective. St. Laurence High School is located at 5556 West 77th Street, Burbank, Illinois, 60459. For more information on the school please visit www.stlaurence.com.